The VPN was originally born out of a need for secure corporate communications and network access. Over time, this technology has become more commonly used by non-corporate users to access the internet away from the prying eyes of ISPs which are eager to sell user browsing data. While VPNs are undoubtedly a powerful technology, they are not without limitations. In this article we are going to highlight a number of VPN myths and misconceptions, and set the record straight on these matters. When it comes to choosing the best VPN, there are two categories of service – paid and free. And often folks go for the latter, questioning the value of paying for something which they can get for free. Just to be clear, for an occasional VPN user whose only goal is to avoid packet sniffing when using public Wi-Fi in a library, airport, or coffee shop, a free VPN can suffice. However, paid VPN services offer a number of advantages, including much bigger data allowances and faster speeds. Another key differentiating factor is security with free VPNs tending to have 128-bit encryption, often via the less secure PPTP protocol, with paid options offering 256-bit encryption, and more secure protocols such as OpenVPN. As with many pieces of software, there is no such thing as a free lunch, and you get what you pay for. A VPN works by encrypting the data on the device, which is done by enclosing each data packet in an encrypted outer packet. This then gets transmitted via the VPN tunnel to the server, where the process is reversed to remove the outer packet, which decrypts it to the inside data packet. This process of encryption and decryption at both ends of the tunnel does take some time, and has the potential to slow down the internet connection due to the protocol overhead. If we think about it though, for a VPN that offers both a free tier and a paid tier, it makes sense that the paying customers will get priority at the server. With this higher priority, the internet connection will be faster, and closer to the speed of a non-VPN connection. This is another argument in favor of a paid VPN connection, and at least in some cases, there is no significant speed penalty from using a VPN connection. Indeed, in our VPN reviews, we’ve even seen cases where a VPN has actually sped up the internet connection. A VPN is not for the most novice computer users, and by that we mean the sort of computer illiterate people who need some hand-holding to even attach a file to an email. That said, while in the past it was a daunting task to configure a VPN, these days it is much easier. 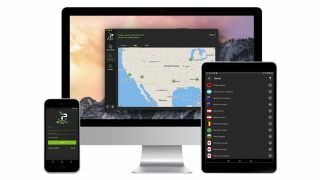 With a simple software download and setup, a VPN connection can be up and running on your PC in a matter of minutes. Some VPN services, such as TunnelBear, tout how simple they are to configure and use. The goal of a VPN is to offer online anonymity via the encrypted tunnel to a secure server. And the high level of 256-bit encryption that better VPNs offer can be very difficult to break. This leads to the myth that the VPN user is completely anonymous online. However, it is not that simple, and really a VPN makes the user ‘more anonymous’, which on face value is a bit of an oxymoron, and rather like saying someone is ‘almost pregnant’. You must realize that a VPN is not impenetrable, and encryption can be broken – it’s just a matter of how much in the way of computer resources need to be applied to the decryption process. Additionally, VPNs can keep some kind of log of the user’s activity for a time period ranging from weeks to forever. These logs can be subpoenaed, and the VPN will respond to these lawful requests, thereby not providing anonymity. Basically, when it comes to users looking to commit a crime via a VPN, the VPN provider has no interest in becoming a partner in this type of unlawful activity (nor should they). In much the same way that folks can think one can of peas is much like another, there’s a myth that each VPN is really the same at the core, so it doesn’t really matter which service you go with. Price: Be sure to compare monthly costs as well as potential discounts for longer term commitments such as prepaying for the year. Speeds: Better VPN services offer more servers and a more expansive network which can handle greater levels of traffic. Supported platforms: While all VPNs support a Windows PC, be sure to assess your needs and support for other platforms such as Mac, Android, iOS, and router support as required. Servers: A more robust VPN will have more servers in more countries, which helps to minimize latency issues with online gaming, and also to circumvent geo-blocking issues due to country content restrictions. A VPN is an important tool to keep a user more anonymous online, with their communications staying private and not public. However, relying on a VPN as your only security tool is quite foolhardy. A VPN is not a substitute for an antivirus program, nor does it keep your browser safe and secure. Just like having a security alarm system in your house is not a substitute for locking the front door when leaving your home, realize the limitations of a VPN, and consider it only one piece of the puzzle when it comes to putting together a comprehensive security package for your PC.